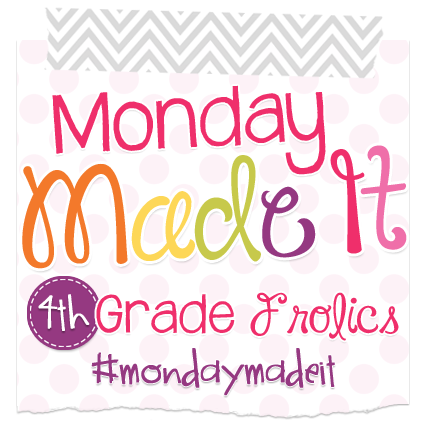 I am linking up again with 4th Grade Frolics for Tara's Monday Made It linky! The past week was spent cleaning up and organizing around the house, trying out new recipes, and getting ready for the 4th of July with a fun and easy craft! First I tried out a recipe for Homemade Larabars from Leite's Culinaria. I love Larabars! The peanut butter chocolate chip is my absolute favorite! They are so delicious and super healthy! I decided to give the homemade version a try! I went with an apricot nut version. I used dates, dried apricots, cashews, and almonds. You simply grind the nuts in a food processor until they are finely chopped. Then add the fruit and process until the mixture begins to stick together. Press into a wax paper lined pan and refrigerate for about 30 minutes. You can then cut them into bars and enjoy! This was a good basic recipe. Next time I want to make a Mocha version! Yumm! I used a cut up chicken instead of a whole chicken. First you put the dry rub on the chicken and place it in a bag. Then blend the lime juice, cilantro, garlic, and oil, and pour over the chicken in the bag. Then pour chicken and marinade into the slow cooker and cook on low for 6-8 hours. This one was yummy too. Next time I will try grilling it for a crisper skin. My last Monday Made It was a fun craft project for the 4th of July. Tin Can Windsocks!!! Found it on Pinterest ... of course! It is from Random Thoughts of a Supermom! Take some tin cans and clean them out. I made the best baked beans recipe for the 4th. Everyone loved them! Thanks to The Pioneer Woman's recipe! After washing and drying the cans, I made two nail holes in the top on each can. Then I went out back and spray painted them blue. And I let them dry about an hour. I used a sponge that I cut out in the shape of a star. I pressed the sponge in some white craft paint and then pressed it on the can to make white stars. I used twine to hang the windsock. I threaded it through the two holes on the top of each can. I tied a knot in the end. This is hidden inside the can. Then I used my hot glue gun to glue white and red ribbon strips to the inside of each can. I hope you had a great 4th of July holiday!!! Delicious looking foods! I love the tin can wind socks!!! I can think of a lot of different occasions to use them by switching up the design. Thanks for sharing! I also love Larabars! I will have to try that recipe. I love the tin can wind socks idea as well! Thanks for the awesome recipes! !